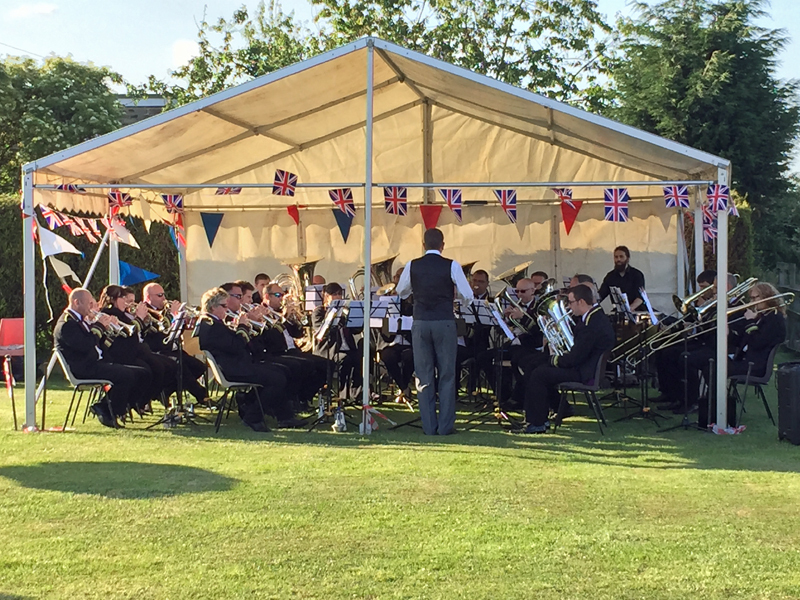 The three bands from the Skelmanthorpe Brass Band Community came together on the evening of Saturday 4th of July 2015 at Thorncliffe Working Men’s Club for the annual ‘Proms in the Park’ concert. Skelmanthorpe Training Band began the evening’s entertainment followed by The Skelmanthorpe Band and Skelmanthorpe Prospect Brass. 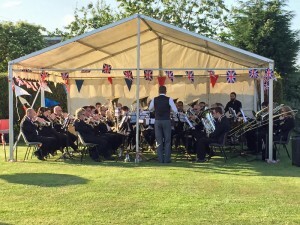 Each band performed a short concert programme then came together at the end of the evening to form a massed band for the ever-popular ‘Proms in the Park’ finale of ‘Jerusalem’ with music written by Sir Hubert Parry, Sir Henry Wood’s ‘Fantasia on British Sea Songs’ and Sir Edward Elgar’s, ‘Pomp and Circumstance’. 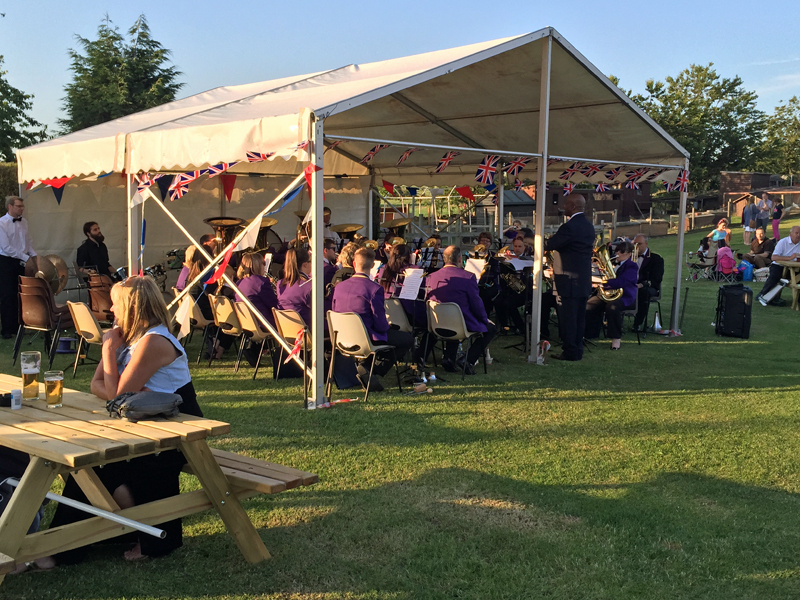 Hot and cold refreshments were served throughout the evening by the staff and committee of Thorncliffe Club while revellers enjoyed a fantastic night of brass band music. 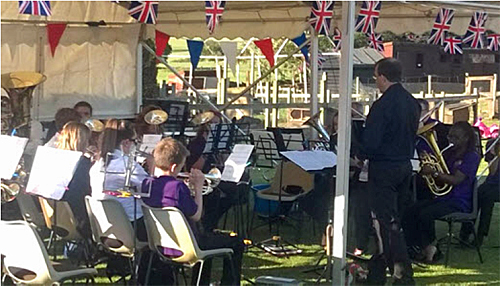 Spectator, Mr Raymond Inglesfield of Kirkburton said, ‘I’ve heard about this gig but I’ve never been to it before. 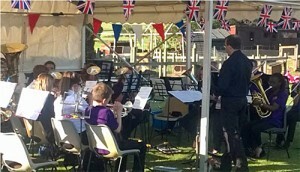 I’ve really enjoyed it and I’ll definitely be coming again next year,’ and with a record-breaking audience turnout, this open air concert continues to grow in popularity.